Michael Franzese grew up as the son of the notorious Underboss of New York’s violent and feared Colombo crime family. At his most affluent, he generated an estimated $5 to $8 million per week from legal and illegal businesses. It was a life filled with power, luxury…and deadly violence. In 1986, mafia boss, Michael Franzese was named one of the biggest money earners the mob had seen since Al Capone, by Vanity Fair. At the age of 35, Fortune Magazine listed him as number 18 on its list of the “Fifty Most Wealthy and Powerful Mafia Bosses”, just 5 behind John Gotti. Avoiding traditional mob domains, Michael masterminded brilliant scams on the edge of the legitimate business world. From auto dealerships and union kickbacks, to financial services and the sports and entertainment industries, to a multi-billion dollar gasoline tax scheme, he earned millions in cash every week at his peak. Not surprisingly, Michael quickly became the target of Manhattan’s famed federal prosecutor, Rudy Guiliani. After promising Michael 100 years behind bars after indicting him on racketeering charges, Rudy only came up empty handed. Escaping four more indictments, it seemed Michael Franzese truly was invincible. While producing Knights of the City, a break dance movie filmed in Florida, Michael met a beautiful dancer from Anaheim, California, named Camille Garcia, whose innocent beauty and faith turned his world upside down. After falling in love and eventually marrying Cammy, Michael took the rap on racketeering charges. Michael pled guilty, accepted a 10 year prison sentence and vowed to do the unthinkable – walk away from the mob. Nobody of his rank had ever just walked away – and lived. Until now. 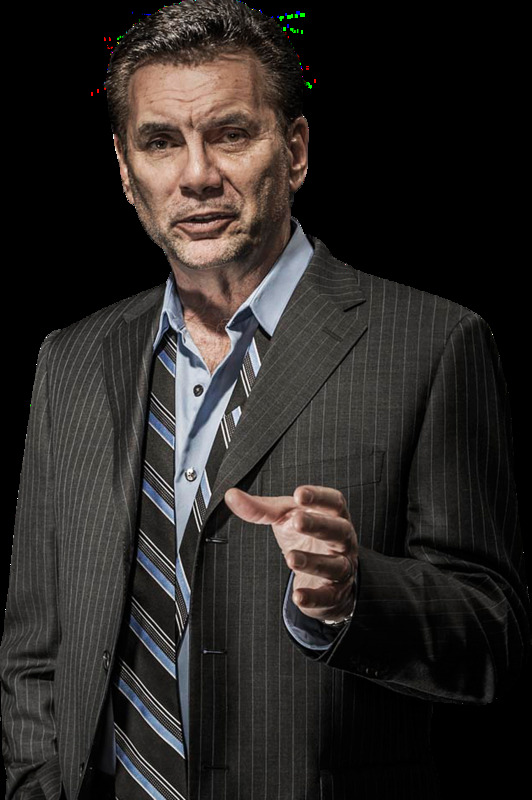 Michael Franzese is the only high ranking official of a major crime family to ever walk away, without protective custodies, and survive. Determined to use the compelling experiences of his former life for the benefit of corporate executives, professional and student athletes, at-risk youth, church audiences, and for anyone seeking the inspiration to beat the odds and make positive changes in their lives, he has become a highly regarded motivator and a source of invaluable information. Franzese candidly describes how he survived dozens of grand jury appearances, 5 major racketeering indictments, 5 criminal trials, 7 years in prison and a Mafia death sentence. He tells how he engaged bankers, corporate executives, union officials and professional and student athletes in a wide variety of financial scams. His open and honest presentations are fresh and unique. Audiences are captivated by stories of his personal experiences in organized crime and genuinely affected by his powerful anti-crime messages and eye opening revelations. His autobiography, Blood Covenant, Michael reveals answers to many mysteries surrounding his incredible journey. Walk the streets with him to find out how he has done what no one else has managed to do. His latest book, I’ll Make You An Offer You Can’t Refuse, was recently released by Thomas Nelson, and contains insider business tips from the former mob boss.